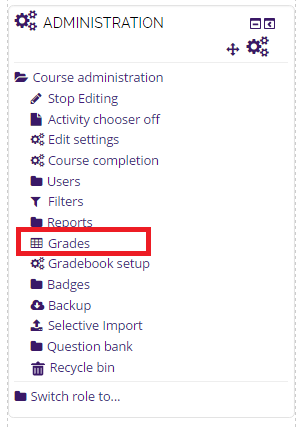 3.Choose Course Grade Breakdown from the drop down box at the top of the Gradebook. 4. The Course grade Breakdown should appear. Here you can view letter grades by the quantity earned. 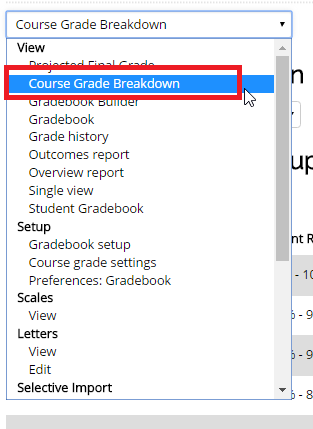 Please note: The Course Grade Breakdown function is in development and does not always work correctly.